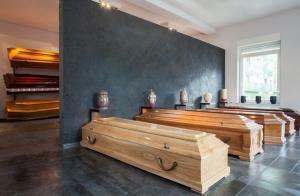 Cremations have become increasingly popular over the last decade. According to the Cremation Association of North America (CANA), the number of individuals who were cremated in the U.S. in 2015 was 48.6 percent; by 2020 that rate is expected to climb to 54.3 percent. Reduced affiliation with religious organizations; CANA statistics show the top 5 states with the highest cremation rates have the lowest level of religious affiliation. It’s less expensive than burials and still allows families to have traditional services if they want. More personalization — many people see the ceremony as more meaningful because it gives more choices in storing or scattering the remains. If you’re wondering about the process of cremation, the following information can help you decide if it’s right for you and your family. Direct cremation is a process where your remains are transferred directly to a cremation center without a funeral service beforehand. Because this approach eliminates the need for a funeral service and a casket purchase, it’s often the cheapest type of cremation. Direct cremations typically don’t allow for a viewing, visitation, or wake beforehand. Most families will schedule a memorial service at a later date for friends and family to pay their respects. Depending on your location, cremation services can range from $1,000 – $3,000 on the low end of the spectrum but can cost as much as $6,000 – $8,000 depending on the services performed. For example, having a traditional service beforehand can significantly increase your costs particularly if there is a viewing or if a casket is needed. Prior to cremation, jewelry and other materials are removed and given to the family. Any medical devices – such as a pacemaker – are removed as well. All cremations are performed individually. During the process, the body is placed in a chamber and exposed to extreme temperatures – up to 1,800 degrees Fahrenheit – leaving behind only ashes. The process usually takes between 1-3 hours depending on the size of the body. Following the procedure, a cooling period is required before the remains can be handled. Unless specified otherwise, the remains are placed in an urn (or other container) and returned to the family. The process is considered more efficient than traditional burials and can be completed in a shorter amount of time following death. Cremated remains can be moved easily, so if the deceased’s family relocates the deceased can also be relocated. Although cremations are less costly than traditional burials, they still come with significant costs. If you are considering a cremation for yourself or a loved one, it’s important to think about how you’ll pay for the procedure. One solution is final expense life insurance – also called burial insurance or funeral insurance. It’s specifically designed to help cover end-of-life expenses, like funeral and cremation costs. If you’re still unsure about whether cremation is right for you, we’ve put together an article that compares the features of cremations and burials. You’ll be able to compare the costs, procedures, and various benefits of each type of service below.